1.) To start wash dry and cut your tomatoes, kielbasa and cucumbers. 2.) 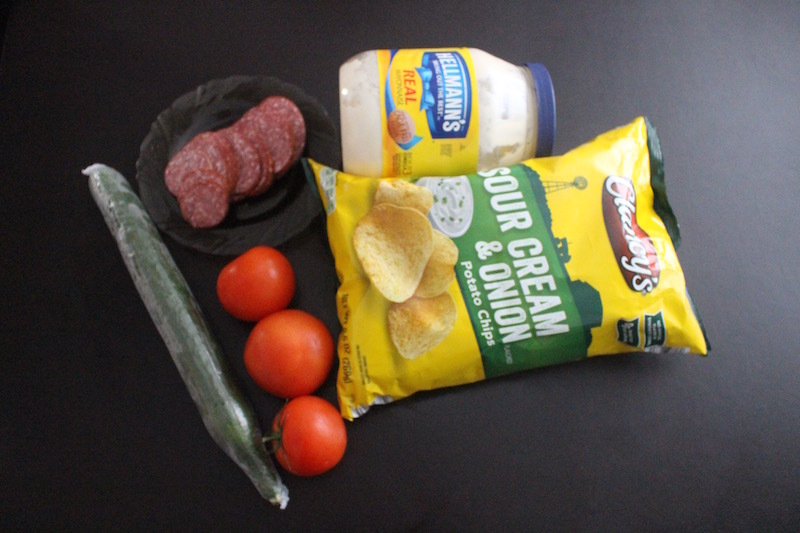 In a large bowl add your chips, kielbasas, tomatoes, cucumbers and mayonnaise. Mix together well. Place on a serving dish and decorate. Serve! NOTE: Make this salad around 1 hour before serving so the chips don’t get soggy. 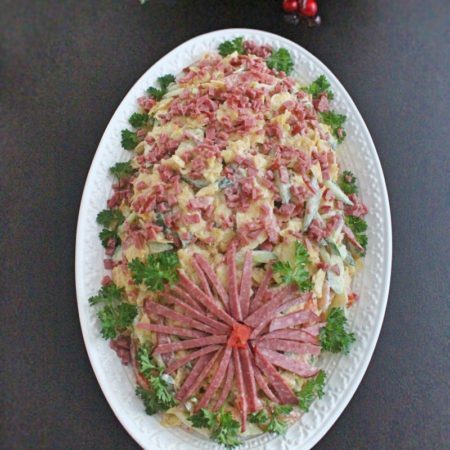 If you're looking for a easy salad to make during the holiday season than this salad is perfect for you and your guests. 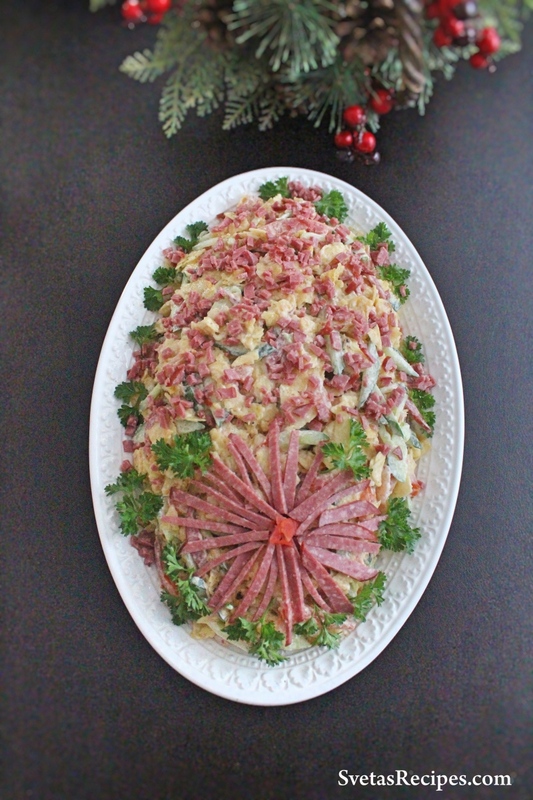 This salad includes smoked kielbasa and fresh tomatoes. 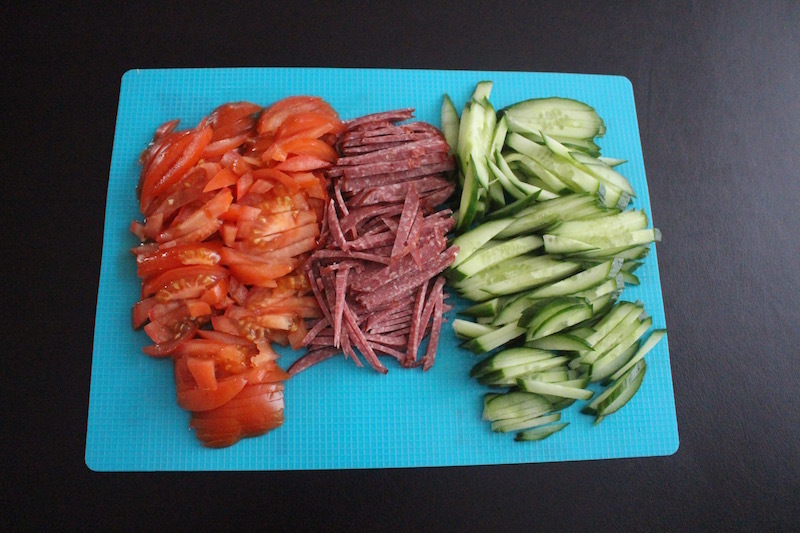 To start wash dry and cut your tomatoes, kielbasa and cucumbers. 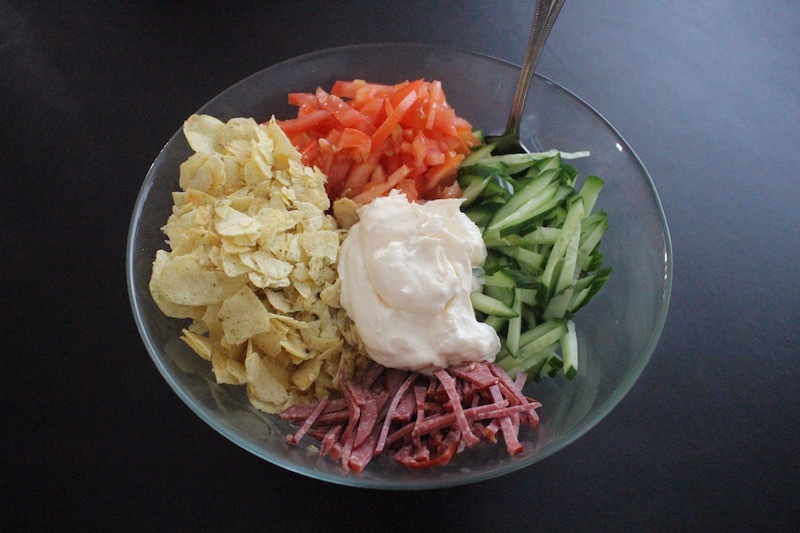 In a large bowl add your chips, kielbasas, tomatoes, cucumbers and mayonnaise. Mix together well. Place on a serving dish and decorate. Serve!